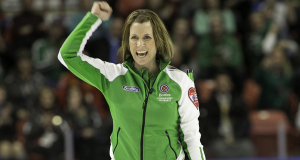 2018 Home Hardware Canada Cup kicks off Wednesday in Estevan, Sask. Canada’s best collection of curling talent will be under one roof when the 2018 Home Hardware Canada Cup gets underway Wednesday at Affinity Place in Estevan, Sask. Don’t call it a comeback… When you look at this year’s Canadian Team Ranking System men’s standings, it’s very easy to forget that Brad Gushue has barely played this season due to injury. 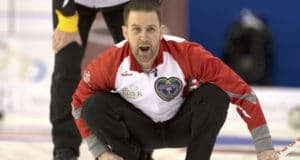 Toronto’s John Epping has won World Curling Tour events before, but this weekend’s victory at the CookstownCash presented by Comco Canada Inc. in Cookstown, Ont., moved him to places he’s never been. To say there was some movement on the Canadian Team Ranking System leaderboard this weekend would be a massive understatement. With a number of big events for both men and women, it would be easier to name the few teams who didn’t score some big points over Thanksgiving, instead of all the ones who did. There will be some Olympic fever in the air this weekend in Portage la Prairie, Man. The second annual Canad Inns Mixed Doubles Classic, beginning Friday in Portage la Prairie not only features a power-packed field, it also offers some pretty powerful prizes besides the cash purse. It was only a matter of time… Winnipeg’s Jennifer Jones got off to a slow start to the season, and as a result spent the first 10 weeks further down the list on the Canadian Team Ranking System leaderboard than her team was used to. Morris, Man., is a curling hotbed this weekend! According to Wikipedia, the town of Morris, Man., boasts a population of 1,797 people. This weekend, however, that will swell to well over 2,000 while 64 teams come into town to compete in the annual DEKALB Superspiel at the Morris Curling Club and the Rosenort Arena. Since winning gold medals at the 2014 Olympics in Sochi, Jennifer Jones and Brad Jacobs have been anything but quiet. With most of the top teams in the world on hiatus last weekend, it seemed like an ideal opportunity for some of the rest of the teams to make up some ground in the Canadian Team Ranking System race. Unfortunately, the teams that had the most to gain came up a bit short by the end of World Curling Tour: Week 12. 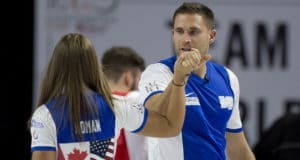 While most club curlers across the country are finally settling into their leagues, maybe with two or three weeks under their belts, the World Curling Tour enters its 12th week. Since the Baden Masters in August, many of Canada’s top teams have been busy nearly every weekend in bonspiels from one coast to the other. Elite field chasing Slam title in Truro, N.S. It’s safe to say the season is in full swing at this point. Considering the top curling teams have been on the competitive circuit for nearly two months now, the teams playing in the Grand Slam Masters of Curling in Truro, N.S., should officially be in “mid-season” form. New season. Different Team. Same story. 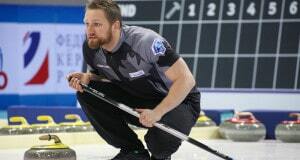 One year ago, the curling world was marvelling at the run that Winnipeg’s Mike McEwen was on to start his season. His team was winning practically every event it played in, and rarely lost a game along the way. 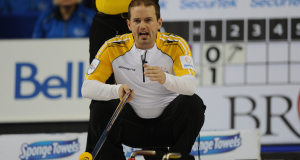 And while Team McEwen is still the World Curling Tour No. 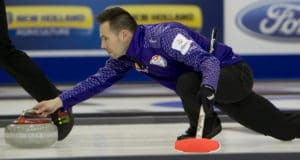 1, having won two of its first three events this season, Brad Gushue’s incredible start has got his St. John’s foursome in striking distance of the top spot.